21 years, 2 months and 30 days. That’s how long My Bloody Valentine fans waited for the follow-up to the Dublin group’s legendary 1991 sophomore album, Loveless. And unlike other cult bands in the “gone too soon” file, like, say, the Smiths, the members of My Bloody Valentine stayed largely out of sight during this time—no real solo and side projects, no scandals, no headlines driven by ego or personality. Like Portishead, My Bloody Valentine retained an air of mystery about them while on hiatus, Kevin Shields only popping up from time to time to tease fans with news of their elusive follow-up. Over the course of these two decades, we heard of painstaking sessions dropped and botched, albums worth of material recorded and dropped, Shields’ perfectionism ensuring that every time he thought his music was ready for the public, he would only throw it away and start at square one the following week. But in the nearly 8000 days since Loveless, one thing has remained a constant: the fans’ breathless anticipation. If the band’s third album ever came out, would it be nearly as good as their first two records? Could anything be as good as Loveless? Had Shields spent so much time slaving over details that he wouldn’t be able to see the forest for the trees? Would the album end up a sprawling mess? Well, after hinting at its completion, on that 21st year, 2nd month and 30th day, My Bloody Valentine finally released the new record, anti-climatically titled m b v, through their website. And while it doesn’t bring peace to the Middle East, make Diet Coke taste like Classic Coke or anything else that fevered fans might imagine it would do, m b v is still a pretty damn good album. But first off, what does it sound like? Shields and Bilinda Butcher had mentioned over the years that some tracks they’d worked on had been written in the early ’90s and influenced by the then-burgeoning dance and electronic scenes. Those signs implied that Shields was pushing My Bloody Valentine toward heavy rhythms and something altogether more digital. Instead, while there are elements of dance music, the album is far more restless than that, its diversity more in the spirit of Isn’t Anything without quite sounding like anything they’ve done before. The first three tracks favor the druggy shoegaze of Loveless, almost as a welcome back to longtime fans, but even here, the guitars tend to drive and grind rather than float and quiver. But while “She Found Now,” “Only Tomorrow” and the roaring “Who Sees You” would have all fit relatively comfortably on their past records, m b v doesn’t truly take off till track four. The transportive, glacial beauty of “Is This And Yes” signals Shields isn’t merely interested in digging up the past, suspending Butcher five minutes in chilly synths, before the song dissipates into the hushed “If I Am,” a pleasant, if ineffectual, track that doesn’t have much pushing it anywhere. The superb “New You” and the delirious “In Another Way,” however, up the energy and follow up on the psych-dance that Loveless‘ “Soon” suggested, pointing toward potential single material and thrilling new directions for the band to take. But it’s the last two songs that show the lengths Shields was willing to go (and the risks he was willing to take) to challenge his audience and make something new. “Nothing Is” is a repetitious, headbanging jam that showcases the band at their heaviest, while the thunderous closer, “Wonder 2,” is something else entirely. Shields claimed one of the tracks here was inspired by drum’n’bass, and with Colm Ó Cíosóig’s jet-speed drumming, “Wonder 2,” is most likely the culprit. 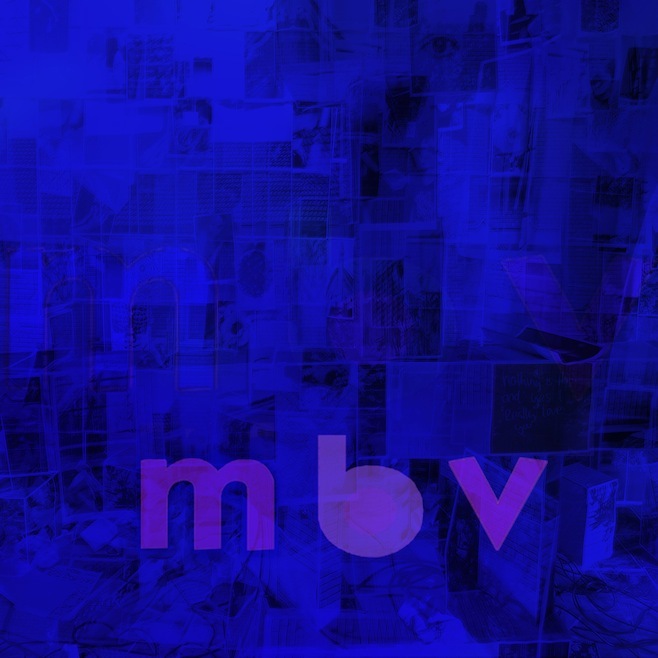 It ends up sounding more like drum’n’Armageddon, though: With a phaser effect on aircraft-in-a-wind-tunnel levels and booming drones of guitar creeping out of the murk, it’s the most chaotic and harrowing track MBV ever committed to tape. What’s funny is that, despite all the stylistic diversions and the two-decade gestation period, this album sounds like it could have been released in 1993, yet it’s fresher than most of the ’90s revivalist acts that ape the Valentines’ style, since there’s no simple nostalgia here; it’s all future. There’s not just surprise in that, but comfort as well: After decades of imitators, it’s nice to know that the students haven’t yet overcome the masters.